Take the world’s two biggest economies. Then, increase trade tariffs, or taxes, as a policy to solve disputes. President Trump said on Sept. 17 that tariffs, or taxes on $267 billion of China’s imports to the U.S., its top buyer, will begin on Sept. 24 (10 percent) and rise in 2019 (25 percent) if Chinese concessions to Washington are not met. In response, officials in China have announced retaliatory tariffs of $60 billion on U.S. imports. On CNBC, Wilbur Ross, the commerce secretary, downplayed the economic impacts of the U.S. tariffs on Chinese goods to American businesses and consumers. "If you have a 10 percent tariff on another $200 billion, that’s $20 billion a year," he said. "Because it’s spread over thousands and thousands of products, nobody’s going to actually notice it at the end of the day." 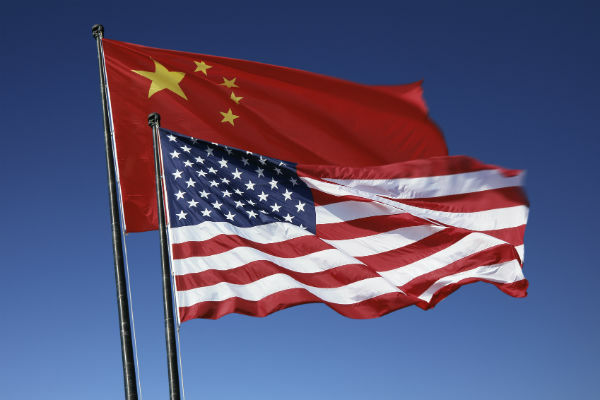 For Frank Knapp Jr., president and CEO of the South Carolina Small Business Chamber of Commerce, viewing tariffs as a problem-solving policy for resolving trade disputes with China is fraught. Why? He points to Main Street. There, small businesses cannot ride out the drop in consumer buying power when price hikes of Chinese imports arrive, according to him. One example that he cites is Chinese plywood via the previous round of increased U.S. tariffs. Plywood is an essential product for rebuilding from Hurricane Florence flooding South Carolina. For Knapp, though South Carolina voted for Trump over Hillary Clinton in 2016, small businesses in the state do not favor imposing tariffs as a way to adjust imbalance in China-U.S. trade relations. In the meantime, the U.S. Trade Representative lists 6,000 Chinese goods subject to the 10 percent tariffs effective Sept. 24, rising to 25 percent in January 2019. The imports range from beans, nuts, nuts, seafood and much more. In response, business associations such as the National Retail Federation of Retailers are urging the USTR to avoid imposing more tariffs on imports from China. "As thousands of businesses have testified and explained in comments to the administration," said NRF President and CEO Matthew Shay in a statement, "tariffs are a tax on American families. It’s disappointing that, despite the voices of those impacted, the administration continues to advance harmful tariff policies that threaten to weaken the U.S. economy." "Every time this trade war escalates, the risk to U.S. consumers grows. With these latest tariffs, many hardworking Americans will soon wonder why their shopping bills are higher and their budgets feel stretched." Stretched might also be an apt descriptive for sentiments on Wall Street, where there are jitters about economic headwinds from the retaliatory arc of China-U.S. trade tariffs. Such a landscape of investment and trade uncertainty is not many investors’ cup of tea. Meanwhile, the door is open to future talks between China and the U.S. The extent of this opening is unclear. Both sides have indicated a willingness to proceed down the path of negotiations. The Trump White House’s "America First" strategy to increase tariffs on Chinese goods appears contradictory, politically speaking. For instance, a policy that alienates the president’s supporters with the congressional midterm elections less than 50 days away appears to be sweet music to the Democratic Party's ears.